Hello new Owensboro parents. We know that keeping babies and toddlers safe and healthy requires constant effort. You snap them snuggly in their car seats, baby-proof your medicine cabinet and guard the stairway with a gate. You take them to your Owensboro pediatrician for immunizations, check-ups and an occasional cold or ear infection. 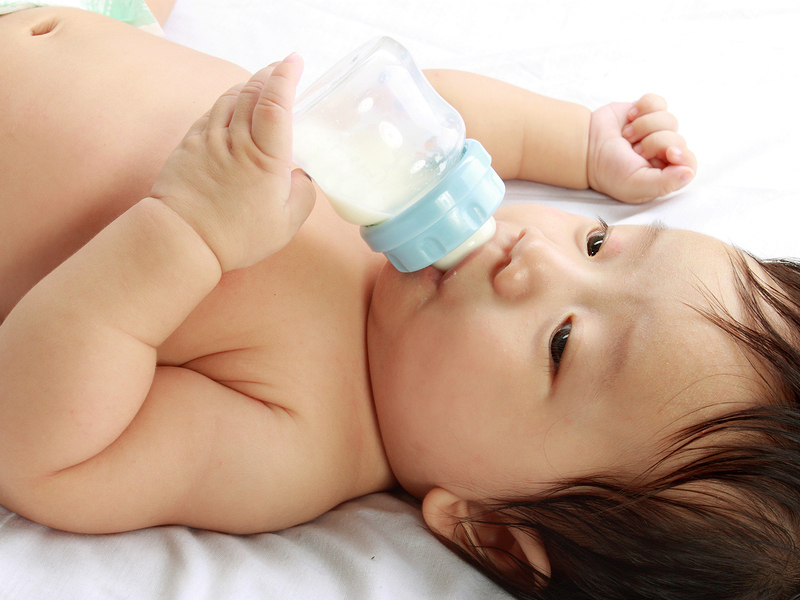 Don’t put babies to bed with a bottle! Don’t allow children to drink juice continually during the day! Prevent frequent snacking on sugary foods! Oral health is intrinsically connected to overall physical health and normal development. If your oral hygiene is not up to par, now is the time to shape up and help your young child develop prime oral health habits that will serve them well throughout their life. Thompson & Frey Cosmetic & Family Dentistry recommends beginning twice-yearly dental visits around age one or when the first tooth erupts. Our friendly staff helps young patients feel comfortable and relaxed during their exams. Drs. David Thompson and Vicki Frey can advise you on thumb sucking, dental sealants, normal child tooth development, braces, athletic tooth protection, fluoride, or any other pediatric dental issue. In addition to pediatric dentistry, Thompson & Frey Cosmetic & Family Dentistry offers the full spectrum of state-of-the art restorative and cosmetic dental services such as: sedation dentistry, Invisalign, and teeth whitening. If your toddler has not yet visited the dentist, schedule an appointment ASAP by calling us at 270-683-0620. Katie was very good and I appreciated her understanding of my particular anxieties. I have always had a good experience with your staff, thank you for your dedication to your patients. I always feel at home at Dr Frey and Thompson’s office. Their hygienist Robin is awesome! I love this office and have for over 20 years!!!! Simply amazing!! I am so terrified when I go to a dentist but sedation dentistry made it easy and painless!! THANK YOU SO MUCH!!!! I was more than satisfied with this visit which was performed by the staff in a most professional manner. As always, the staff and Dr. Frey and Dr. Thompson are kind, courteous, explain all options and invite questions. They make coming to the dentist “less scary”!! Robin made me feel at home. The new lady (can’t remember her name) was very nice and went out of her way to keep my 4yr old son entertained. Stuff like that means a lot. This was the first time I’d had Katie as a hygienist. I thought she was really good. She was thorough and easy on the gums. My teeth felt very clean. Thanks. Everyone in your office is awesome. It feels like I am at home there every time I go. But 2 good checkups in a row, wow, I am so excited. :) love ya guys! Thank you so much for the personal, respectful treatment I received from everyone I came in contact with while in your office. Very precise and took great care to make sure my rebonding of my front teeth was perfect. I was thrilled with results! Always a pleasant and painless experience!!! I always appreciate the professionalism of the staff. I love all the people there! Best dental service I have had in my lifetime. Bar none. She was very friendly and thorough with the examination and cleaning. I appreciate her care and consideration. Owensboro dentists Dr. David Thompson and Dr. Vicki Frey provide exceptional cosmetic dentistry, Invisalign and Six Month Smiles clear braces, sedation dentistry, family dentistry and so much more for patients from all over the Owensboro, Kentucky area including from the communities of Henderson, Hartford, Beaver Dam and Madisonville, KY and Tell City, IN.